You’ve got a spacious shaded balcony for the ocean and partial bay view from this ocean block midtown, fully air conditioned unit. Sheltered parking for 1 vehicle under the building along with a convenient outside shower. 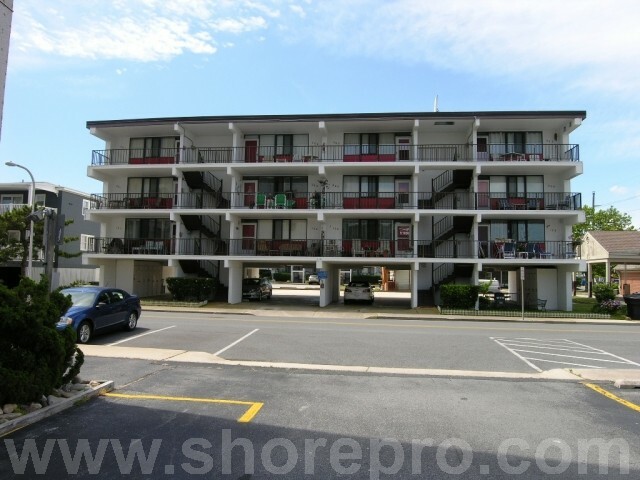 Great dining and shopping nearby in addition to the new Ocean City Center for the Arts, tennis courts, playground and state of the art library. 88 East building has outside shower among other amenities.